Host a one-of-a-kind event at Serenity Farm. 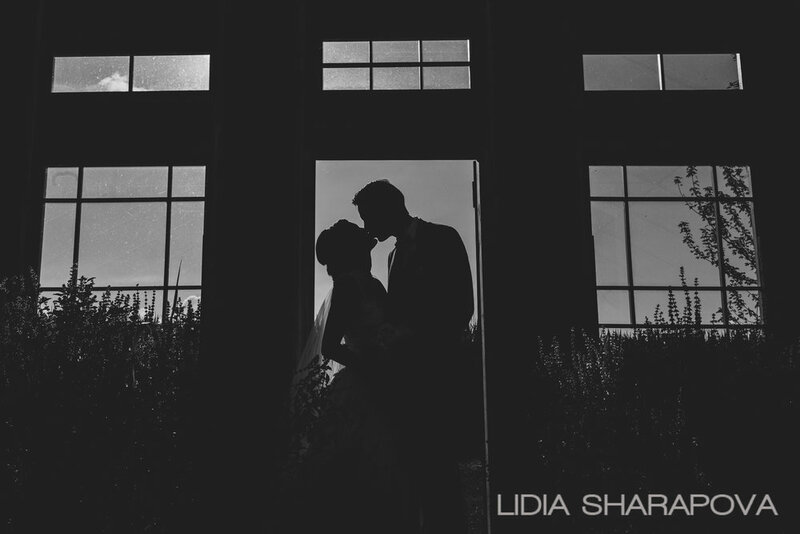 The first wedding at Serenity Farm was Laura & Paul’s in 2012. Family and friends have also celebrated milestone events in the barn and on the grounds. Serenity Farm has been the setting for agricultural tours, business meetings, charity events, educational experiences and special life events such as weddings and receptions. We host a limited number of events every year and strive to make each one personal and as stress-free as possible. We never have more than one event per weekend. When renting, the barn is made available the day before for deliveries, setup and decorating; the day of for the main event, and the day after for clean-up. Weekend events must end by midnight. No event is too small but capacity is capped at 200. The barn can seat up to 200 guests. 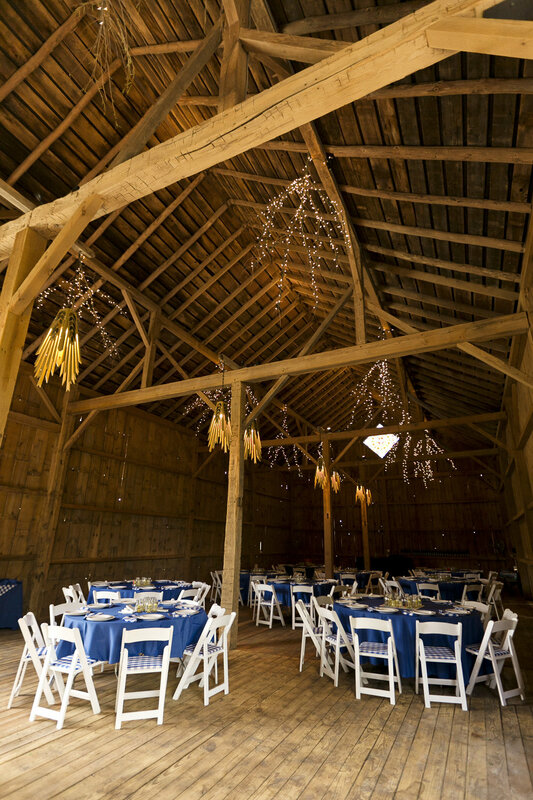 The high, open-beam ceilings of the barn are decorated with lit branches and hand-made chandeliers. Outdoor lights guide guests down paths and illuminate the art-filled gardens. Outdoor events can be held across the farm. 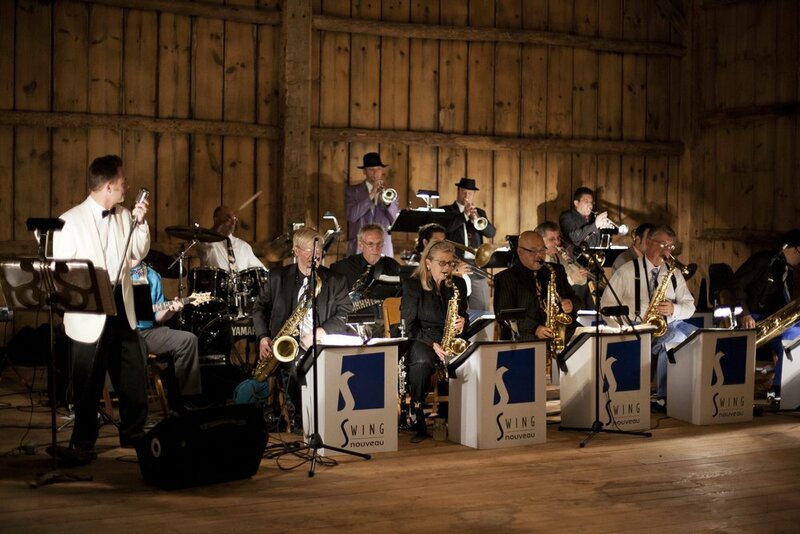 The barn is large enough to accommodate your guests and favorite band or DJ. The surrounding fields provide a beautiful, natural backdrop. Floral arrangements complement the natural surroundings. 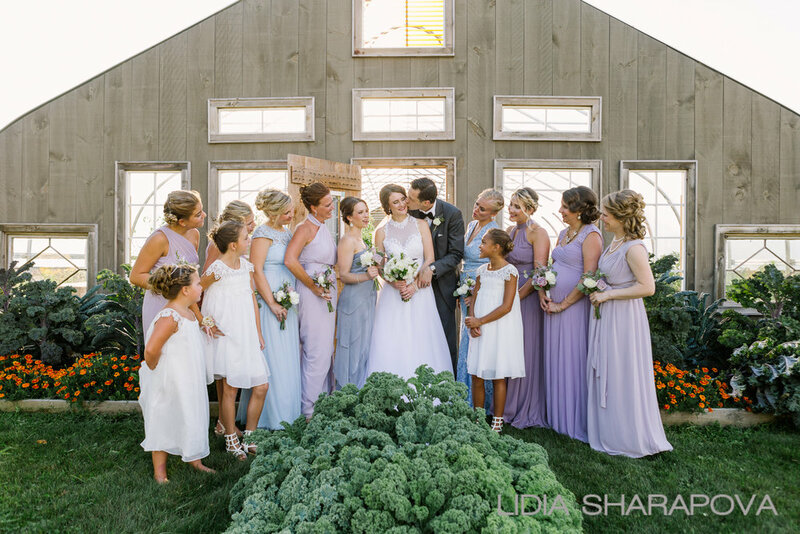 The farm's architectural hoop house is a beautiful backdrop.